Wow this was a long pause! Sorry for not posting more often in the last few weeks. I’m now in Argentina, back on the road and I have some articles in the pipe! It was a comeback in Montreal for me as I lived there for a year during my studies. I really loved my stay there back in 2008 and as such it was a pleasure to return and see how things have changed. Culturally speaking, Montreal is a very interesting city as it embraces both English and French-Canadian heritage. Whereas cities like Quebec are more entrenched in their position, Montreal has managed to create a place where both cultures can live together. A nice example of this cohabitation is when salespeople greet you with “Hi” in both English and French (“Allo”) and will continue speaking to you using the language you reply in. I love it! 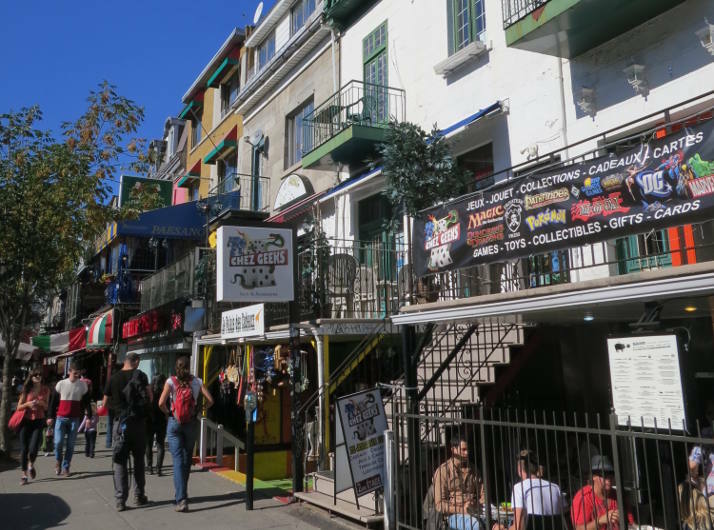 Montreal covers a huge area but most notable neighborhoods are located around the Mont-Royal, the hill in the middle of the city. It also doubles as a great forest to walk into (it’s beautiful in winter) and an easy escape from the city. The view from the top is a must do. In winter, Beaver Lake is a good place to ice skate on a sunny day. 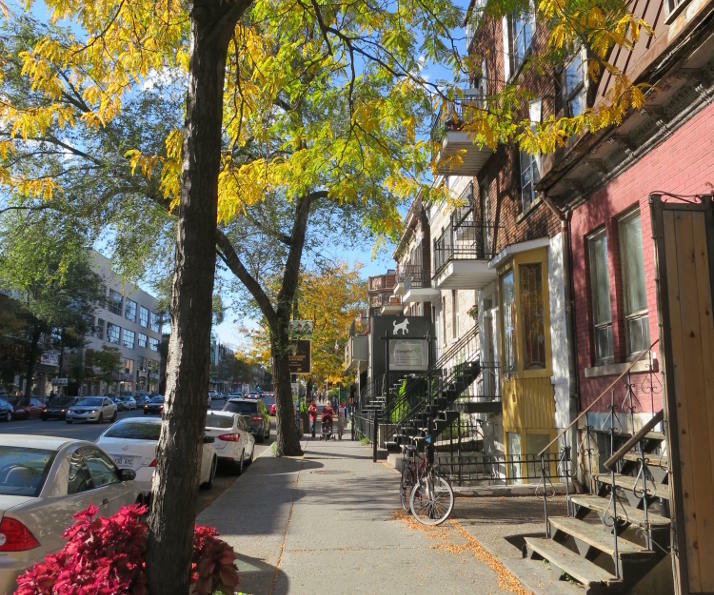 Down from Mont Royal with bus line 11, you’ll arrive straight in the heart of Le Plateau, the trendiest neighborhood of the city. There are a ton of restaurants, bars, coffee shops to try. The place has a kind of European feel and is where most French (from France) expats live. It’s a great area to stroll around on a weekend. Being in Quebec means you have to try out their famous Poutine made of French fries, topped with gravy and cheese. The best place to have a bite at this less-than-healthy dish is la Banquise which is near metro Mont-Royal in Le Plateau. It’s open 24h and a well known 3 AM lunch break (be ready to queue!) on your way back home after a night out. Down Saint-Denis street, you’ll find the Latin Quarter and Le Village right next to it. These are lively neighborhood with a very different vibe than Le Plateau. You’ll see a different side of Montreal. Continuing towards the west, Downtown is the place to go shopping. It’s also where you can get in the famous Montreal Underground city (look for R.E.S signs). There are kilometers of tunnels linking shopping centers, offices and metro stations. No need to go out on a cold winter day. Finally, between Downtown and the river, you’ll find Old Montreal (as with any North American city, old is relative…). I find it’s a very touristy area and although nice to walk around you’ll rarely go when you’re living there. Winters in Montreal are intense, temperatures reaching -30°C! Such low temperatures are fun to experience but quickly become more than annoying. At this time of the year, the metro is plastered with ads for sunny destinations and people’s mood is a bit down. In January, experience the Igloo Fest, an electronic music event where you dance outside! I would still consider Quebec City a better place to visit in the winter, the old city has a very Christmas feel and its surrounding is beautiful covered in snow. Summer reveals a completely different side of the city. There are hundreds of things to do, many events are organized and people spend a lot of time outside. I would say Montreal is one of the best place to live into when it’s that season. Montreal has always been high on my list of cities where I could spend a few years. Coming back reminded me why I loved it. It’s a great place filled with nice people and where you never get bored. My only complain would be the harsh winter. Moving out the country during the two most intense winter month would be the perfect balance!